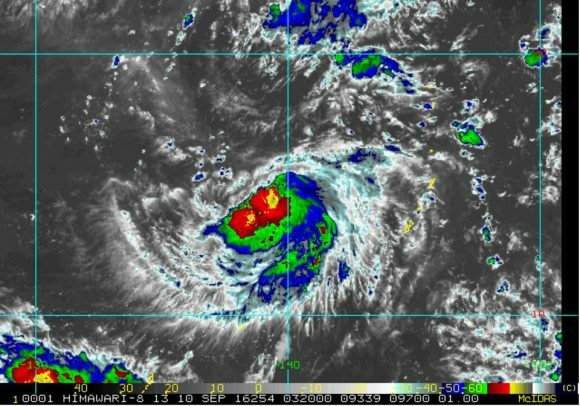 A new tropical storm is developing in the western Pacific Ocean and is expected to undergo a transition to a typhoon within the next 12 to 24 hours. This storm is named Meranti and should pass to the north of the Philippines. 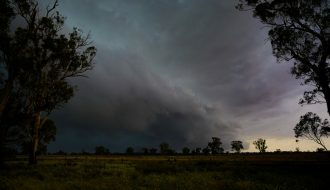 The storm is forming over waters of 30C to 31C and has potential to be very significant. Within two days, Meranti could transition into a Category 4 typhoon sustaining winds in excess of 120 knots (Greater than 220 km/h). The CIMSS forecast model for Sunday suggests the storm making landfall over the east coast of Taiwan as a Category 4 typhoon. This is what makes the storm potentially significant. Eastern Taiwan has been hit by a number of powerful storms over recent years and this one has potential to be another such storm should it sustain the forecast path. This is one storm to watch over coming days as it gains strength and travels north west towards Taiwan. 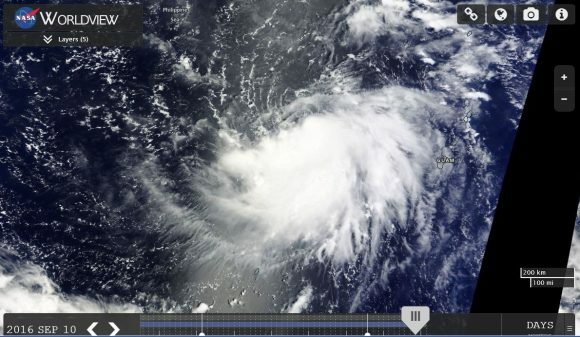 A recent satellite image shows the storm gaining strength and transitioning towards a typhoon. 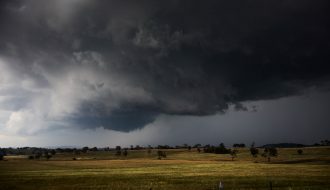 Convection is visible at the centre of the storm although an eye has not developed. 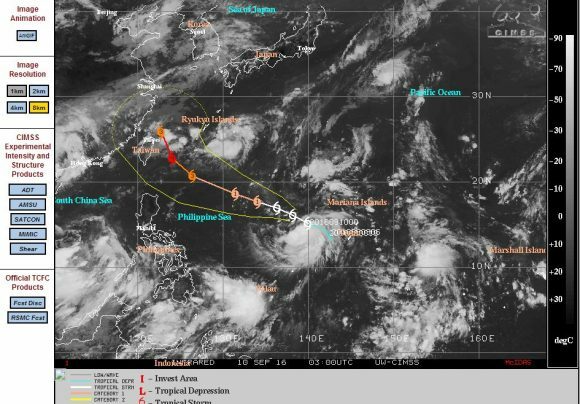 1 - CIMSS - Forecast model of Meranti acquired Sunday 11 September 2016. 2 - CIRA - Infra red image of birth of storm Meranti. 3 - NASA Worldview - Satellite image of Meranti acquired 11/9/2016. 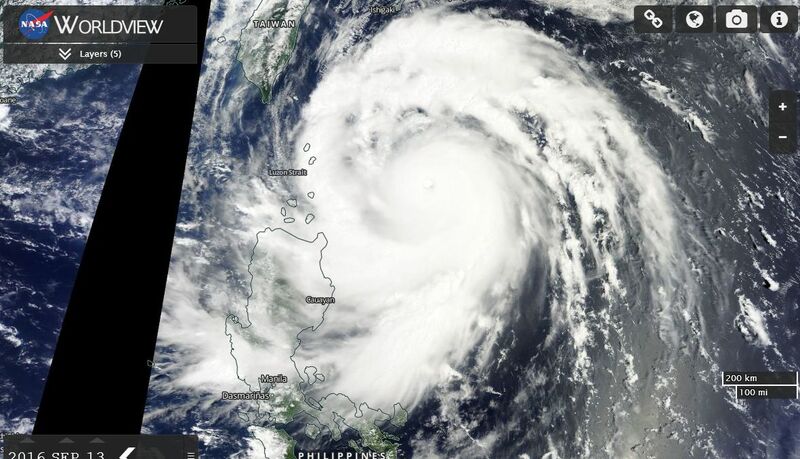 Since this time, the storm rapidly intensified into a Category 5 typhoon as it tracked toward Taiwan. 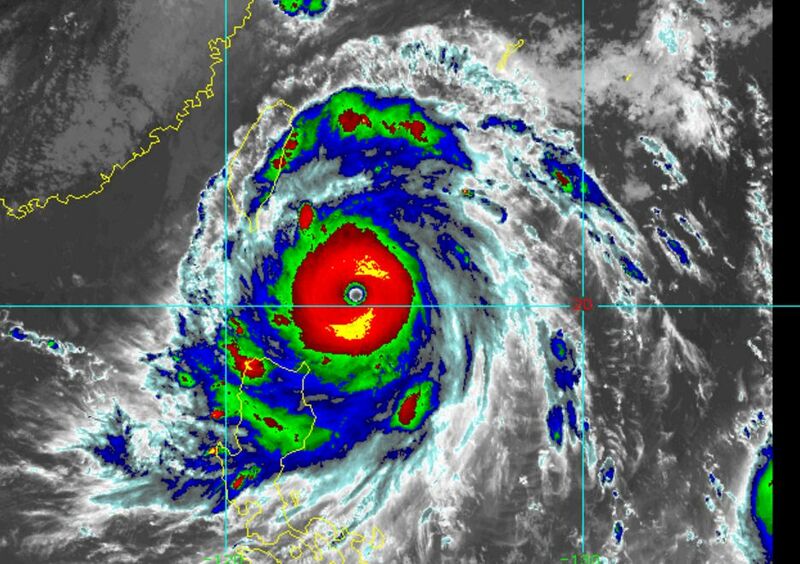 The storm has exceeded the initial forecast models and is currently a super typhoon with winds in excess of 160 knots or upwards of 300 km/h. The storm is passing barely to the south of Taiwan as a Category 5 system. 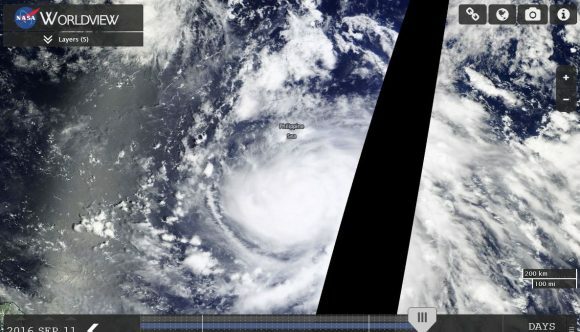 The main concern is what happens as it approaches the south east coast of China. Very heavy rain has lashed the eastern and southern parts of Taiwan and there is a rainfall figure of 711.5 mm falling at Taiwu (Xidawushan Weather Station) followed by 457 mm at Xiulin (Tianxiang Weather Station) for the period midnight to 4 pm 14/9/2016. 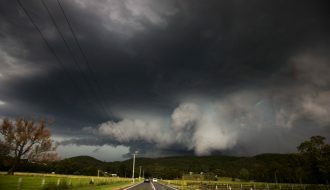 Such rainfall would create serious flooding, landslides and major property damage would be expected. The storm is shown in the attached images as it closes in toward Taiwan as a very significant typhoon.